Mobile bathrooms have been very useful in various situations and events like corporate or family functions. 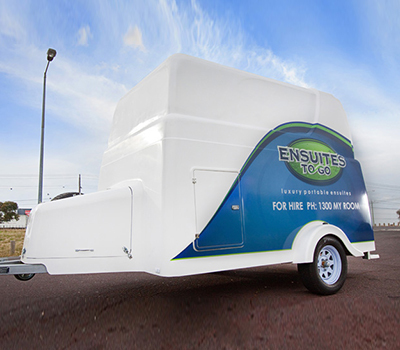 Many companies are offering mobile toilets on rent to their clients who wish to facilitate their guests with best of services. Therefore if you are also planning to host an event for your family and friends, then you should hire this service. There are many advantages of luxury ensuites hire Melbourne. Convenience – Portable bathrooms provide a very convenient way of managing the facilities for construction workers or the crowds at the public events. They can prove to be a great solution or the people who are suffering from any natural disaster. Versatile – Best Portable toilet rental provides a lot of versatility and durability to the facilities offered. They can be placed and moved from anywhere. The latest mobile bathroom can be placed anywhere. The only requirement of perfect placement is a flat surface. Easy to use – Many party venues fail to accommodate the washroom requirements of the guests. You can easily find a long queue outside the washroom at such events. But now the portable bathrooms have filled this gap. They have ensured best services during large public gatherings. The mechanisms used in the bathrooms are very easy to use. Cost Effective – Constructing a new washroom just to facilitate the guests at the events is not a good idea any more. You might lose a large chunk of your hard earned money in doing this. Instead why not go for our affordable portable bathroom hire cost.